Bill Price is president of Driva Solutions, the North American arm of LimeBridge, a customer service consultancy whose clients include Dell, Hyatt, McDonald's, Microsoft, and TiVo. Prior to founding Driva Solutions, Bill was Amazon.com's first vice president of Global Customer Service, a vice president at MCI, and a senior consultant with McKinsey & Company. A frequent keynote speaker, Price has written numerous articles and white papers. David Jaffe is consulting director of Australia's leading customer experience improvement company and helps major corporations improve the service and sales that they deliver. Introduction: Why We Wrote This Book. 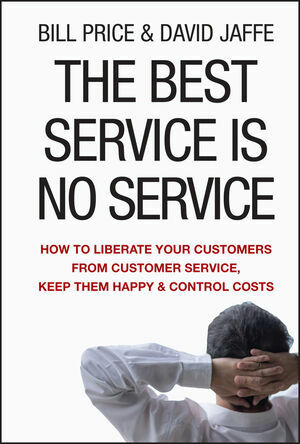 1 Challenge Customer Demand for Service: Instead of Coping with Demand. 2 Eliminate Dumb Contacts: Instead of Handling Them Again and Again. 3 Create Engaging Self-Service: Instead of Preventing Contact. 4 Be Proactive: Instead of Waiting to Respond. 5 Make It Really Easy to Contact Your Company: Instead of Dodging the Bullet. 6 Own the Actions Across the Organization: Instead of Blaming Customer Service. 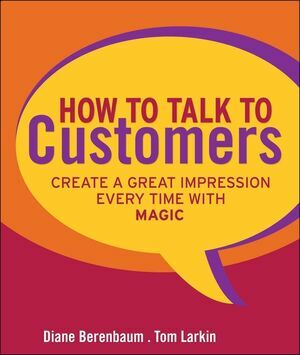 7 Listen and Act: Instead of Letting Customer Insights Slip Away. 8 Deliver Great Service Experiences: How to Delight Customers with Awesome Support When They Need It. Appendix A: Best Service Survey.